The main problem with a protocol that sends information in cleartext is that anybody in the middle can read the communication by simply packet capturing. The default authentication mechanism used by SSH is password based(with the simple workflow of using a ssh client to connect to a remote server, the server demands for a password, the user enters the password, and completes the authentication). Although passwords and other details sent over the wire in ssh is encrypted, it’s not recommended to use password based authentication mechanism. The primary reason behind this is the fact that password based authentication can easily be compromised using dictionary based brute force attacks. Although you can add an additional layer of security to ssh by using services like fail2ban, it’s always better to disable password based authentication, and only accept public key based authentication. How Key based Authentication in SSH Work? 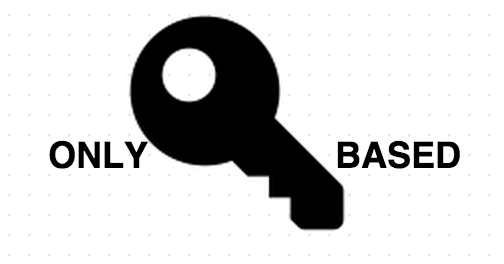 Things encrypted using the SSH Public key can only be decrypted using ssh private key. Some important things to note about ssh key based authentication. SSH private key must be kept absolutely secret. In fact you should ideally encrypt the ssh private key further to prevent somebody else accessing it rather than you. Above shown diagram depicts an overview of main steps taken by an ssh client and server, to establish authentication using public key mechanism. How to generate an SSH Key pair? Generating an ssh key pair in Linux is really simple. It only involves one single command called “ssh-keygen”. Your identification has been saved in /home/vmcentral/.ssh/id_rsa. Your public key has been saved in /home/vmcentral/.ssh/id_rsa.pub. By default ssh-keygen will save the public and private keys under .ssh directory (which is located at the home directory of the user executing the ssh-keygen command). You can actually change this to wherever you want the keys to be saved (as clearly visible from above command, which prompted location for the user to specify). The main advantage of keeping it in the default location is that ssh-client will automatically search in that location for private key, while authenticating to a target server. The main important thing to note here is about the permission set of .ssh directory, id_rsa private key. If you do not have proper permission set applied to .ssh and key files, authentication using that key will fail till you fix the permission set. The permission should be as below(lets say bob is the username)..
let’s imagine that you want to authenticate to a target server using this key pair. The steps that you will take will be below. Let’s say i have a user named “sysad” on all of my servers(this user will be used by all my system administrators to gain access). This means that all those users whose public keys are inside the file ~.ssh/authorized_keys of “sysad” user, will be able to login to the server using username “sysad”. Is there any Alternative way to copy ssh public key to target server(rather than the manual one described above)? Once the above command succeeds, you should be able to login to the target server using ssh sysad@remote-server-ip without password. How to secure a target server to only accept key based authentication. ?